Hiiiii 🙂 Hope you’ve had a fabulous Saturday so far! After the gym, the pilot and I ran some errands and I had the un-mistakable urge to SHOP!!! Too bad Valdizzy’s mall is puny…. until I can stop the shopping beast in Orlando next weekend, I bought a couple of new things at Books A Million (Beefcake and Noble wannabe). I’ve been wanting it since I attended 105degrees. 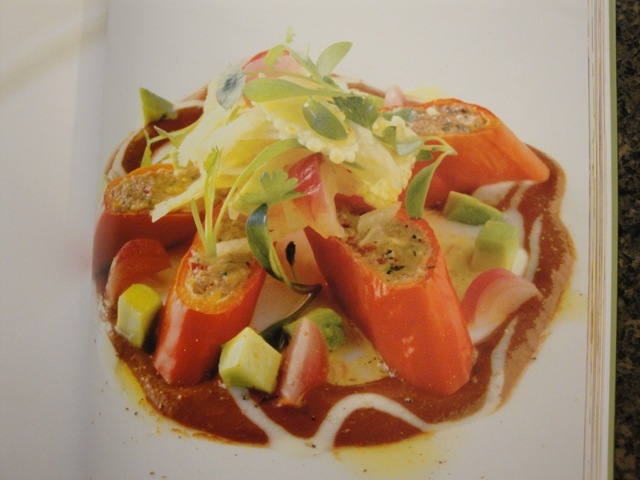 The recipes are so beautifully created and I love the emphasis on glamorous plating. Don’t you just want to grab a fork and dive in?! We stopped at Main Squeeze for juices (I got apple, wheatgrass and ginger) and then back to the casa to be lazy clean and stuff. I’ve seen it before when it first came out, but definitely wanted to see it a second time. Meryl Streep cracks me up and even though I despise Amy Adams haircut in the movie, I adore her so much. Well I’m off to take these puppies for a short walk then crash out. I’ve got a 6-miler in the morning with the girls—it’s our last long-ish run before the half. Eeeeeeek!!! Something to do: Keep those Winter Shape Up success stories coming my way! A re-cap, mumbo jumbo and a giveaway are all coming atcha on Monday. 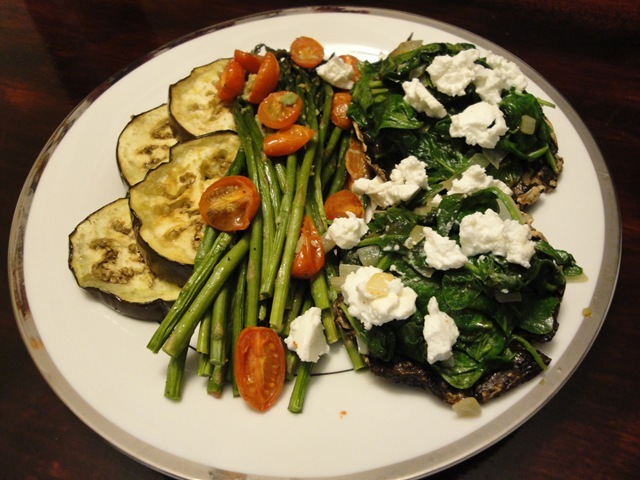 I haven’t had goat cheese in what feels like forever (okay a couple weeks). Those lumps are calling my name! Plating/styling food is so important for satisfaction. what a great saturday!!! the eggplant looks amazing, and i’m totally with ya on the twilight movie…i think we’ve all reverted back to 14 years old when that came out! Still haven’t seen Julie and Julia. Everyone I know told me I should see it, and I love Meryl Streep too. Don’t know what I’m waiting for. Will download it on iTunes right now. That and Food, Inc. I think I’m the only food blogger that has seen neither. Enjoy the rest of your weekend Gina! Um, 14 years old right there with ya! <3 Edward I know, he's half my age Is that wrong? Team Edward all the way! Good luck on your run tomorrow – have fun! I really love roasted veggies! I haven’t seen J+J yet but I want to! The chia oat bran mix…yum… I love chia seeds. So good!!! Sounds like a fun day! Dinner looked so good! yummy cereal…where did you get the chocolate flavor? Also, what brand goat cheese do use buy? 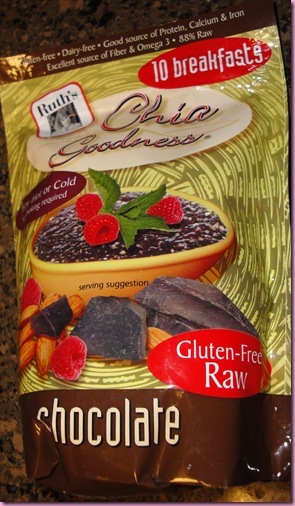 I’d love to try that chia goodness! Think it can be found at Whole Foods?!? That looks like a great new raw un-cook book! Can’t wait to hear what you think of it!! I think I’m the only food blogger who’s SICK of the J&J movie! 🙂 I got it for Christmas, and whenever a girlfriend comes over they ask to watch it! LOL I loved it the first few times, though! 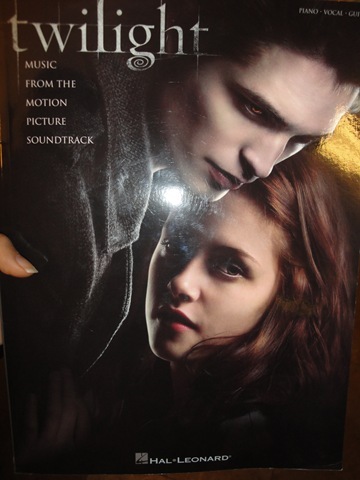 OMG- i LURVE that you bought the music score of the Twilight soundtrack! You can play piano? Yippee, another musical food bloggie! 🙂 I’ve never seen Twilight, but I have tons of musical theater books… AND… I can play the waltz from Amelie on piano! I’ve never tried Chia seeds before and I saw that Chia Goodness in my local organic grocery store but I didn’t buy it. What do you think of the product? Your dinner looks seriously amazing…yum. 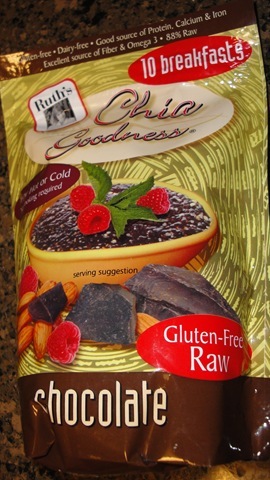 That Chia Goodness sounds like a fun oatmeal addition! Fun new chia combinations? I’m in. I really need to see Julie and Julia. Can’t wait. 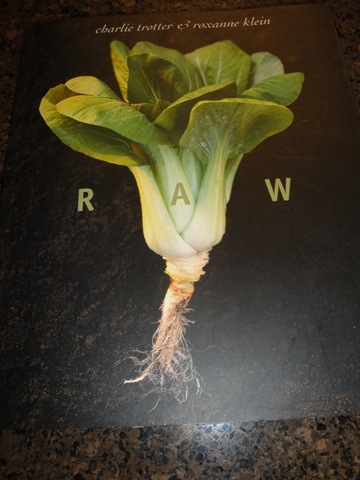 That cookbook cover is SO beautiful. I’d buy it for the cover alone! Yes her hair is pretty awful in that movie! Looks like we did similar stuff yesterday. I spent my gift card @ BAM and got a couple of cookbooks (Ani Phyo & Matthew Kenney) and The China Study. Then watched Love Happens & We’re All Fine. I loved J&J too; got it for Christmas. WHY did they have to give her that terrible haircut??? I don’t understand what it does to the movie! haha I have been debating this with people since I saw it. I have heard good things about that Chia goodness, can you get it at whole foods or trader joes? I’ve been doing your weights routine but I modified it a little b.c my goal is training for a half marathon in April. Anyway, I never did weights before but now I enjoy it and (*bonus*) I have actual arm definition now! Thanks so much for all your tips and links to video on form…they really helped me since I had no idea what I was doing when I started. p.s. I can’t wait to place an order once your site launches. Congrats! Hi Gina! Just wanted to let you know the package arrived! Thank you so much and the macaroons are UH-mazing. Seriously. Foodgasms. I’ll be placing an online order just as soon as you’re up and running! I’ve got Ruth’s cranberry ginger in my pantry, but I didn’t realize there was a chocolate one, too!!!! Can you please remind us (again) where one would find nutritional yeast? By that I mean in what section of the store? We don’t have a whole foods close but we do have an HEB Central market. I just have no idea where to start looking. Thanks! I just bought some at Central Market this weekend. It’s in the bulk bin section by all the flours, sugars, grains, etc. Have you been playing the piano for a long time? Do you have a piano? You’re such an interesting person! i’ve been playing since i was 10 because i really started to get into singing. piano made me a much better singer! I have tried that chia too and love it! Your dinner looks great. Hope you have a good run! Sounds like you had a great evening planned! 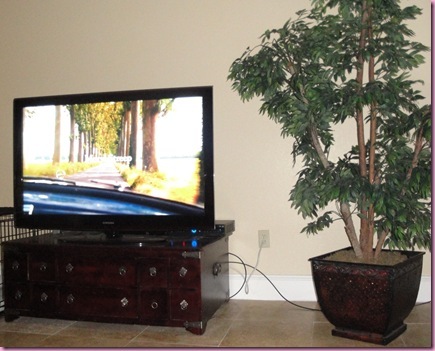 I did the same….chilled and watched TV. Good luck today on your run. I saw the exact same movie yesturday!! I LOVED IT!! it inspired me in so many ways! 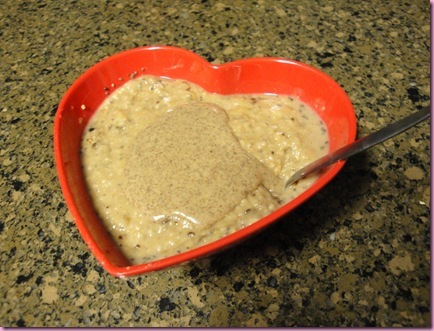 ive never tried chia seeds before but the chia goodness has me tempted. I’ve thought about buying that Chia Goodness, but i just haven’t broke down and done it yet just because of the price. Maybe once I have some more money coming in, in a couple weeks, i’ll give it a try, ive always been curious. 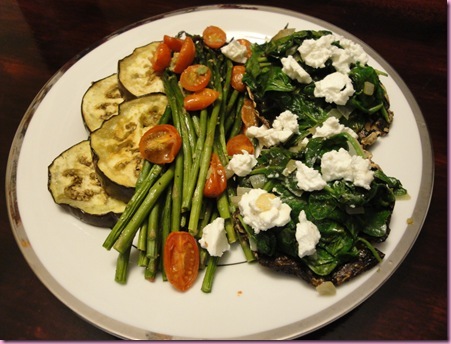 Such a lovely plate of veggies for dinner. Those kinds of meals make me feel amazing! I absolutely LOVE twilight! I read the entire series in just 2 weeks! haha I couldn’t stop and I have the first soundtrack on my itunes! 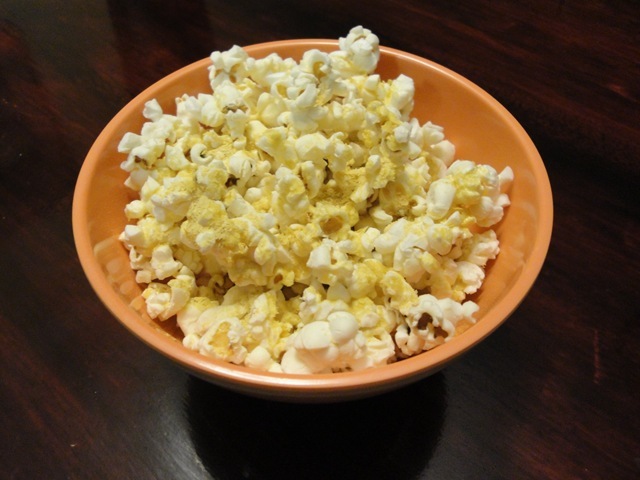 what type of bag do you use to pop the popcorn in the microwave? LOVED Julie & Julia! So cute 🙂 Where did you find that chocolate chia??? I must get some ASAP! I never knew you played piano! How lovely. I’m a piano player myself, too, and I’ve actually released a few albums in the past few years (http://www.reverbnation.com/kristilynrobertson). I love the Twilight soundtrack, though I heard a leaked copy that was supposedly Bella’s lullaby and I loved it so much better. I’ll have to try that Chia Goodness sometime! I see it all the time in the grocery store, but always pass on buying it. I never knew there was a chocolate flavour – yum! I was an extra in Julie and Julia! It was so cool to be in two scenes with Meryl et al!